Atlanta-area lawn care provider Arbor-Nomics Turf rang in the new year with two new programs for residential lawn and ornamental tree and shrub care. 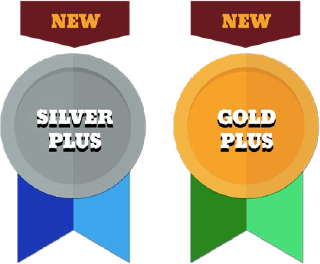 Customers who choose either the new Silver Plus or Gold Plus program receive the same year-round lawn care provided by the established Silver and Gold programs plus treatments for trees and shrubs, grassy weeds and fungal diseases in turf. The Plus programs were developed based on customer feedback and round out the company’s selection of services that fit any yard and any budget. With Silver Plus and Gold Plus, customers who have recurring problems with grassy weeds or common fungal diseases no longer have to request treatments as an add-on service, saving them both time and money. Arbor-Nomics offers two programs for lawn care, Silver and Silver Plus, and three programs for lawn, tree, and shrub care, Gold, Gold Plus, and Platinum. Their other comprehensive add-on services available as needed include mosquito treatments, fire ant control, and army worm and grub preventatives. All services and programs are contract-free, and the company’s technicians are trained in analyzing the condition of turf, trees, and shrubs and recommending effective treatments. The company offers free analyses and estimates as well as free service calls between scheduled visits. Current lawn care customers who upgrade to Gold, Gold Plus or Platinum also receive four free Outdoor Pest Control treatments. The new programs are only the latest example of Arbor-Nomics’ responsiveness to customer feedback. Their longstanding dedication to customer service was recognized in 2017 with an Angie’s List Super Service Award and a Best of Gwinnett Award. Both Angie’s List and Gwinnett Magazine place significant emphasis on customer reviews and votes. Arbor-Nomics’ consecutive wins of these two awards demonstrate the company’s sustained commitment to its customers. To learn about Arbor-Nomics, its programs and services for lawn and tree and shrub care, and tech training and certification, call 770.447.6037.